BBC Worldwide has announced an agreement with ACC Liverpool to hold its BBC Worldwide Showcase event at the venue until 2019. The single-distributor TV sales market, which is held every year in February, attracts 700 TV and digital buyers, as well as many of Britain’s top programme makers from both the BBC and the independent production community. According to statistics from ACC Liverpool, temporary employment created within ACC Liverpool to service the 2016 event equated to some 680 man days. The expected economic impact generated as a direct result of BBC Worldwide Showcase taking place in Liverpool in 2016 was just over £1.5m. BBC Worldwide chief executive, Tim Davie, said: "BBC Worldwide Showcase is the most important event in our calendar. It gives us an unparalleled opportunity to promote great British content to the world’s broadcasters and allows us to place the UK creative industries on a global stage. 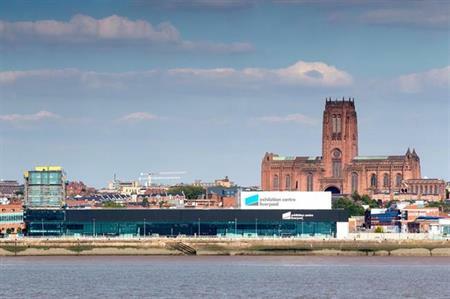 ACC Liverpool is the perfect venue for us: its size and flexibility match our ambition and our customers love visiting one of Britain’s most iconic cities." Bob Prattey, chief executive of The ACC Liverpool Group, said: "Due to its nature and scale, BBC Worldwide Showcase is one of the most complex events in our programme and has been a key conference since its first outing to Liverpool in 2012. Each year the event changes in terms of the use and demands on the building. We have formed a unique partnership with the BBC Worldwide team to ensure the continued success of Showcase and a combined dedication to raising the bar each year."